DP 67 is number one in the Telegraph Texts series by Paul Conneally. Wooden telegraph poles once lined all Britain’s streets but are now disappearing, replaced by underground cable systems. 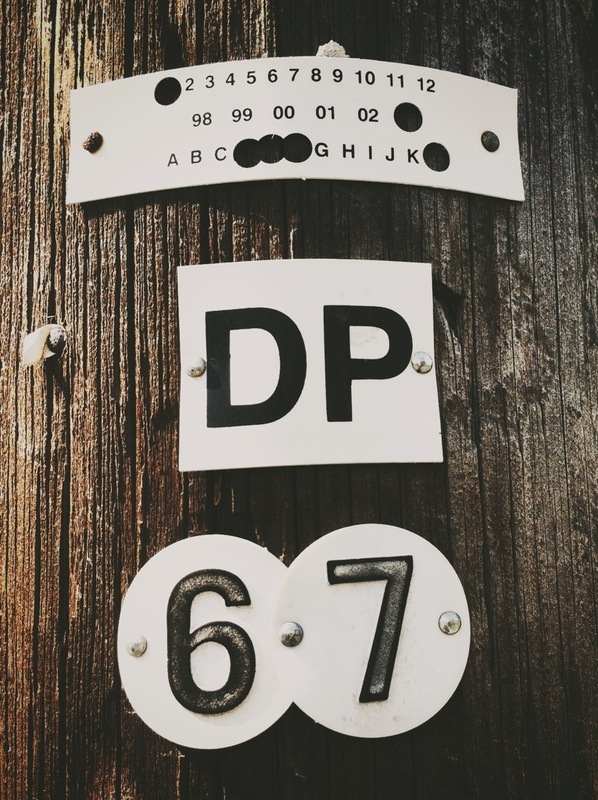 Conneally captures images of official identifying letters, numbers and codes used to identify the telegraph poles along with other unofficial texts, marks and signs.